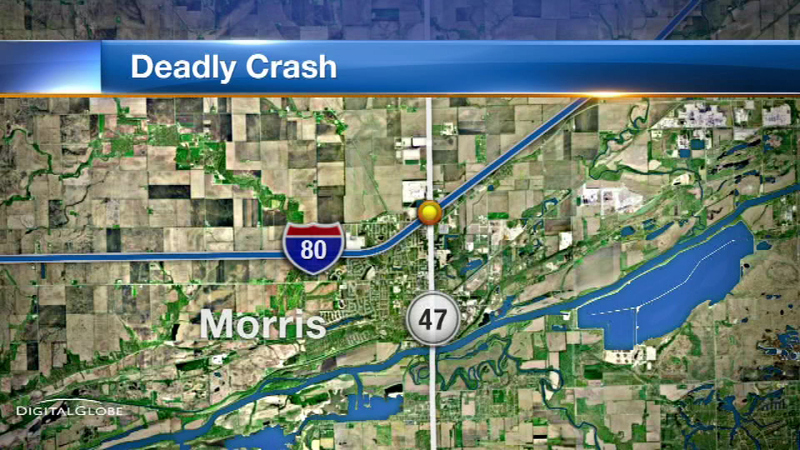 MORRIS, Ill. (WLS) -- One person is dead after a five-vehicle crash on Interstate 80 in Morris early Sunday morning. Police have not identified the person who died in crash. Three others went to the hospital in unknown condition. The interstate was closed for several hours after the crash, which happened around 1:30 a.m. Sunday near Illinois Route 47, about 60 miles southwest of the Chicago.